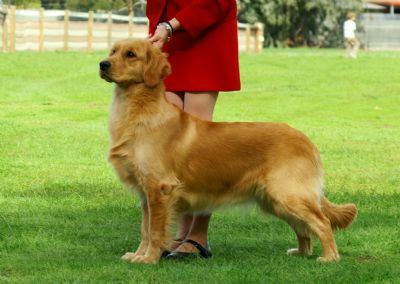 Spice is a daughter of Tara (Gr Ch Savaneta Fire N Ice [ai]) and Jane Fall's Bailey (Ch Fernfall Sea Legend). Spice loves nothing better than getting into mischief and emptying the water bowls! 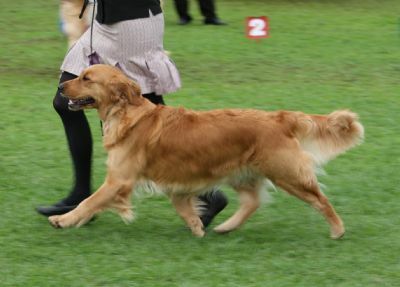 Spice has made a very promising start to her show career with 17 Baby of Breeds and 3 Baby Puppy in Groups! We look forward to the future wih her. Full of life, her tail constantly wagging and a mischevious grin on her face, this young lady has attitude to burn!!! Spice is currently on maternity leave and we hope to have her out again late 2010. 101pts, 1 Best Of Breed, 9 R/U BOB, 10 Res CC, 3 Baby in Group, 4 Minor in Group, 3 Puppy in Group. 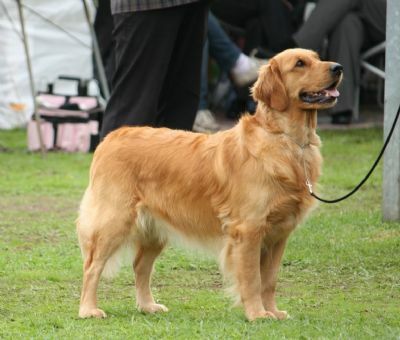 Spice gained her Championship Title with ease at 17mths of age. The future looks very promising for this stunning young girl!